March 2017 update: Please note that both Vitacost and iHerb have changed their first order discount to $5. There have also been a lot of additional changes at iHerb to their discount and shipping structure. 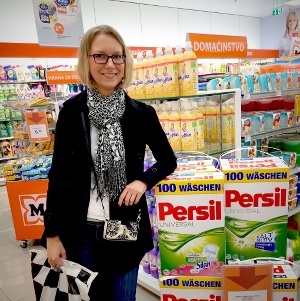 Way back in 2013 I wrote the original Vitacost vs iHerb post on my old blog, and it’s been pretty amazing just how much traffic that post has gotten over the years! I initially put the comparison together mostly for myself – I ordered (and continue to order) from both Vitacost and iHerb on a regular basis, and was curious to see which site was better for what needs. What an awesome feeling to see that post helping thousands of other people! 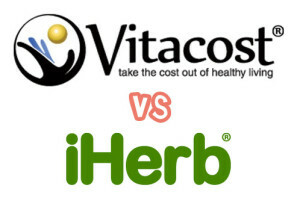 Over the years a lot has changed on both sites, and I thought it would be a good idea to completely redo the review and take a look at Vitacost vs iHerb in 2016: who is the leader three years later? Continue reading to find out! If you are ordering for the first time, follow this Vitacost link to register and get $5 off your Vitacost order of $30 or more and follow this iHerb link and use code WELCOME5 to get $5 off your iHerb order!